Schellman & Company announced that Avani M. Desai has been named the new President of the company. As President of Schellman, Desai is now the only minority leader of a “Top 100” CPA firm. 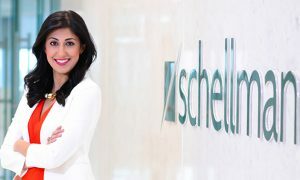 At only 37 years of age, she is also the youngest leader of a major accounting firm, and one of the few female leaders.